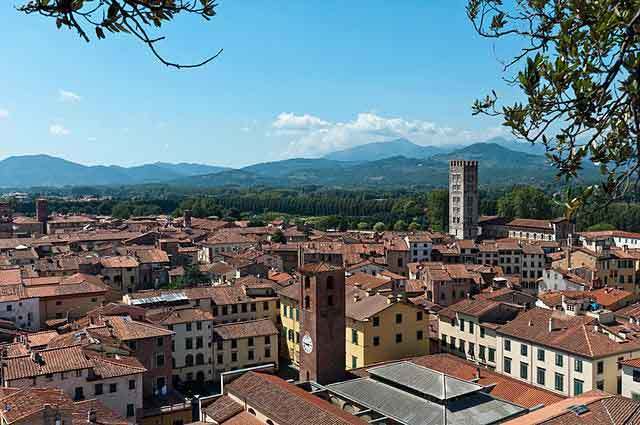 Set just a few short miles off Tuscany’s coast is the city of Lucca. 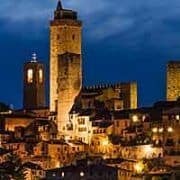 Like most of the towns and cities in Italy’s Tuscany region, this city has ample charm and beauty to offer its visitors but is best known for its fantastically preserved Renaissance-era city walls. The town is actually quite unique in that the city centre is still surrounded by these walls and a large open space that separates the old city from the more modern parts that have grown around it. Suffice it to say, the historic centre is the most popular attraction for visitors, and there are numerous old churches and other structures to see here. Lucca is set just north east of Pisa and is well connected to both Pisa and Florence by road. If you’re visiting from overseas you can make use of Pisa’s International Airport which is the main gateway for Tuscany. From here it’s just a 20 minute train ride from the railway station attached to the airport, or rent a car from all the major car rental companies and drive the short distance yourself. To find out which airlines fly to Pisa International Airport take a look at our main Pisa page here >>. 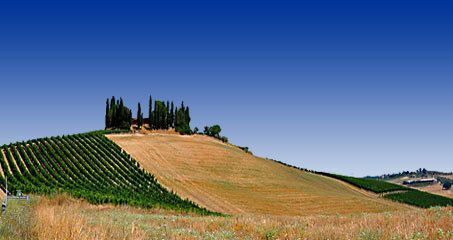 There are over 125 places to stay within the city, the majority of which are actually unrated and include boutique guest houses, villas surrounded by Tuscan countryside, and B&Bs. If you prefer the more luxurious and personal levels of service reserved for 4 and 5 star hotels, don’t worry, there are some of these here too! The two 5 star hotels are both set within historic buildings that exude charm. Locanda L’Elisa is more suited to visitors who want to feel like they’re in the heart of the country, but just 5 minutes drive from the historic centre. Hotel Noblesse benefits from a central location, right in the heart of Lucca, making it perfect for anyone wishing to be in the centre of it all. 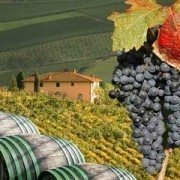 Tuscany is known for its hot and relatively dry summers and Lucca is no exception. Being quite close to the coast the city is slightly cooler than some of Tuscany’s inland cities, making it pleasant even during the hottest month, July. Average highs are a little under 30C at this time. Rain is fairly steady across the year, dropping to its lowest in July and August, and rising to peak levels in October and November, so these are two months to avoid. As mentioned above, the main landmark of the city is its walls; beautifully preserved, the walls are definitely something you should take time to see. While the city grew, the walls were left intact and once they no longer served a military purpose they became a popular place to walk. You can walk the entire circumference of the old city on these walls – it’s a distance of around 4 kilometres (2.5 miles) and is a great way to orientate yourself to all the other major sights. 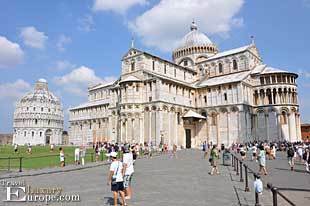 These major sights include the city’s cathedral, Duomo di San Martino, that was built from 1063 by Bishop Anselm who later became Pope Alexander II. The campanile (bell tower) is the original as is the apse, while other parts of the church date from later times. Be sure to climb the many steps to the top of the Guinigi Tower as the top holds several surprises. The view over Lucca is spectacular for starters, but it’s the garden on the top of the tower that’s really surprising! Called a hanging garden the tower roof holds a number of mature trees. There are many churches to see around the historic city, and other sights include the Ducal Palace, and the Roman amphitheatre.